Our retreat weekends operate out of our mountain home in Hartsel, CO (Between Fairplay & Buena Vista, and approximately 2 hours from Denver). 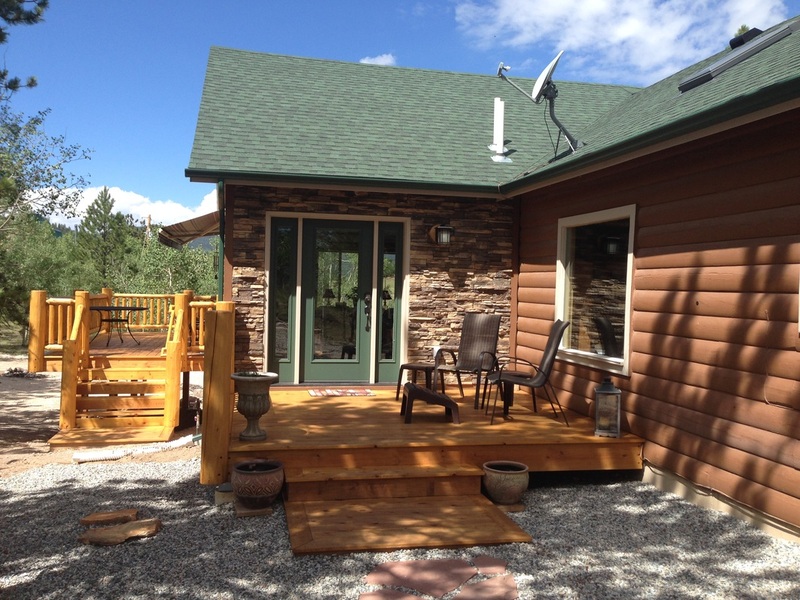 Nestled in an aspen grove and sprinkled with towering pines, the quaint log home invites Christian leaders in ministry, those who see there ministry in the marketplace, missionaries, couples, or anyone who is thirsty and in need of rest to come. These personalized weekends are unique in that your entire stay is crafted and designed to meet your specific personal and 'rest' need; self-directed, directed or a little of both, you choose. Personal Ministry appointments are also offered at the time of your choosing. Whether you are right off the mission field or simply in need of a weekend away, you are welcome to come and "rest & relax while Jesus restores & renews." Your room accommodations include your own private master suite with mountain views, plenty of light, private bath, and a cozy sitting area. The open living area complete with fireplace and reading corner, will also be available for your enjoyment. In the lower level you will find a coffee bar, exercise equipment, and ping-pong (we are always looking for a new team challenge!) There are three open decks and a patio if you like to follow the sun through the day or rest in the shade. The Aspen Grove Sanctuary is just a short walk through the tree's and provides an intimate and quiet setting for meditation. Evening fires in the fire pit complete with gourmet s'mores (sorry, not so healthy but great comfort food!) are a great way to wind down your day. 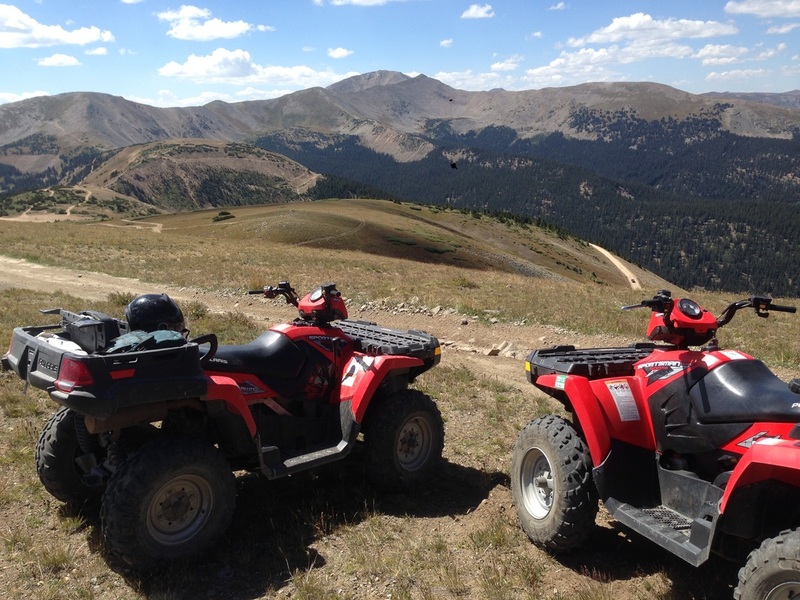 If your personal needs include a wilderness adventure and is part of filling your rest reservoir, we can help with that. Steve prides himself on being the resident C-Swag (Christian-Spiritual Wilderness Adventure Guide) and can set up the adventure you are in need of. He can provide a guided ATV ride, hike, or fishing adventure. If rafting, mountain biking, golfing, horseback riding, or a soak in the local hot springs are on your rest agenda, he can set that up or help direct you to these activities. Check out the Buena Vista Chamber of Commerce website or the 285 Mountain Guide for a full listing of the area's offerings. Two to Four night stays are available. Personal ministry times can be scheduled during your stay if you are in need of Healing Prayer or Spiritual Direction. Dream Coaching is also offered if you are finding yourself with a 'divine dissatisfaction" or in need of encouragement as you seek and fulfill your destiny. For a description of the personal ministry offerings click here. Many say this is the heart of the ministry; gathering around the table with your retreat hosts for meals together as a family. Home cooked meals, genuine fellowship, and open conversation brings a sense of value and worth. One retreatant described it as coming home to Grandma's house where you are unconditionally loved and honored for just being you. Jesus loves it when we gather around the table together for the love of family........His family. May you always feel valued, honored, and loved at our table. To schedule your weekend or to contact us click here. Once your weekend is scheduled we will ask you to fill out our retreat questionnaire so we know how best to serve you. "Every Season a New Experience"